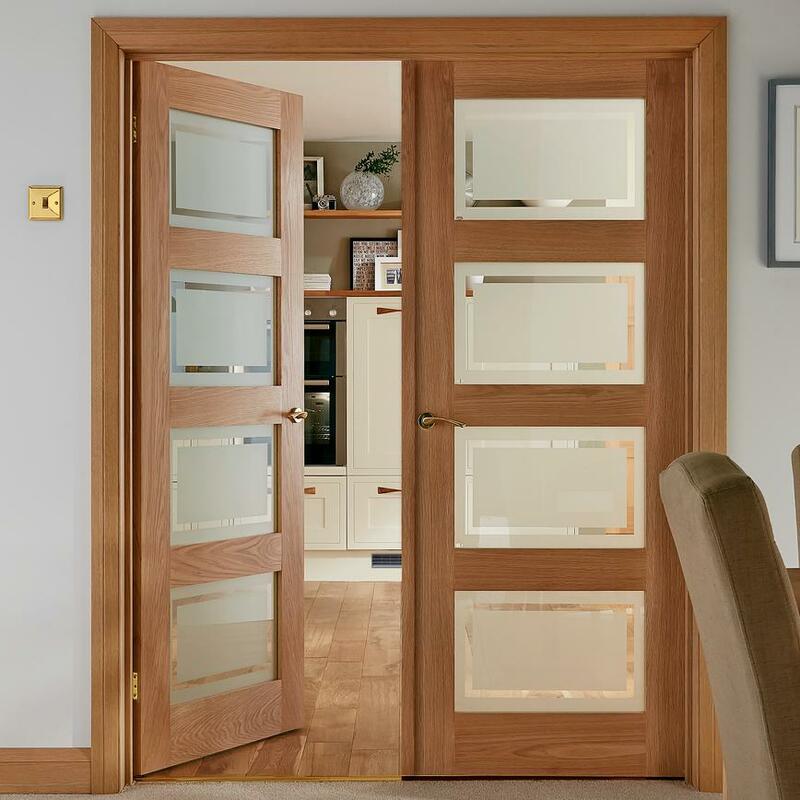 Let light into your home with our four-windowed Shaker-style internal door, richly veneered with real Oak. The glazed version of our Shaker-style, oak door has four windows arranged vertically to let in plenty of light, giving your home a welcoming feel. 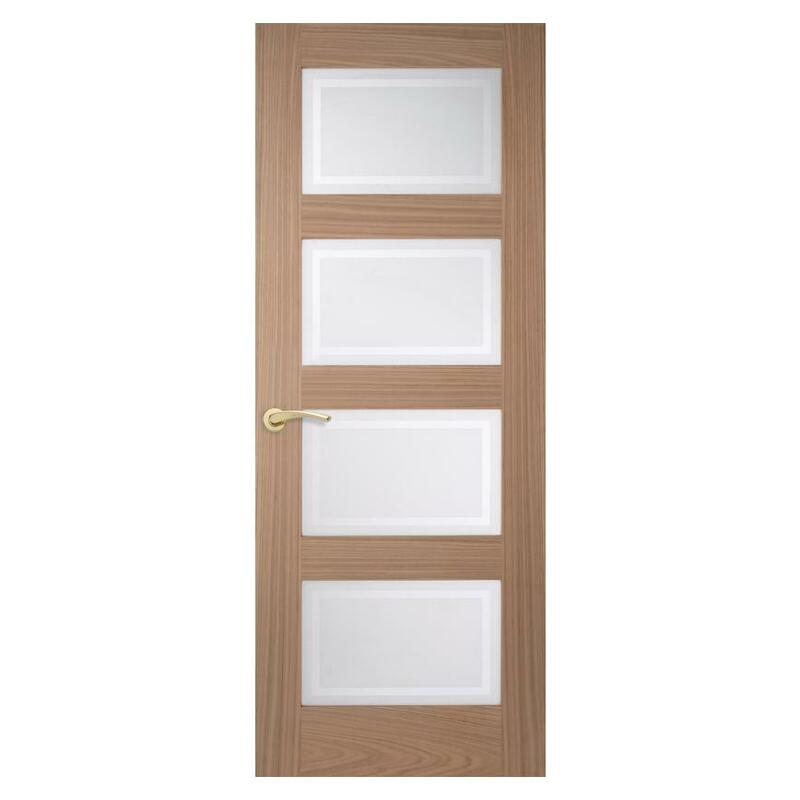 They have a striking oak veneer and can be used to create an impressive double-door for even more light. They come supplied with toughened, frosted glass.